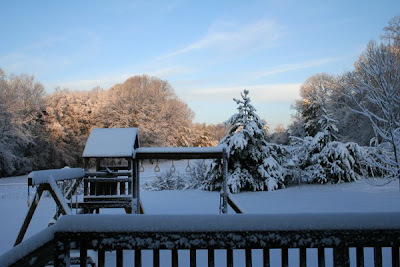 After 3 days of rain, we woke up to a wonderful surprise of 5 solid inches of wet snow on Monday morning. Of course, the kids were thrilled with their bounty, not to mention missing another day of school. 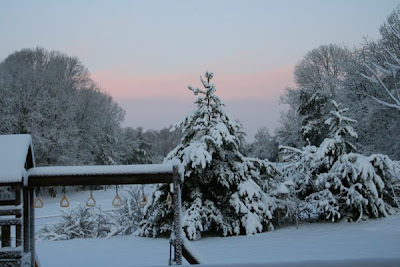 The sunrise was just gorgeous coming over the snow-lined treetops. You'll have to forgive all the backyard scenery. Real snow is so rare here that it's worth celebrating when it finally arrives. 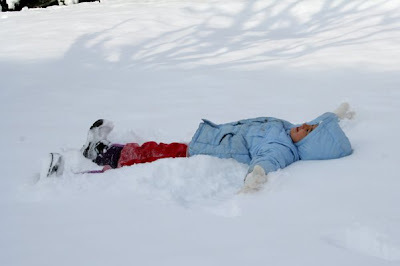 The kids had a blast rolling down our hill, making snow angels, and diving into the soft blanket of snow. They'll get another chance to make their mark in the snow since they're out of school again today. They were also excited to have a day off because we finished Little House on the Prairie Sunday evening so yesterday afternoon they were able to watch the pilot episode of the tv show which essentially covered that book. They were a little disappointed to not hear an Indian warcry, but otherwise enjoyed the movie immensely. 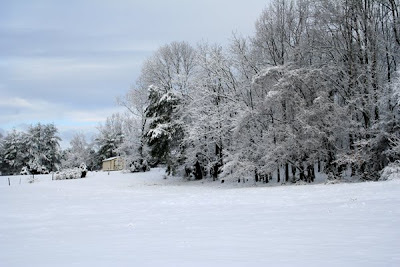 All that snow is so pretty. 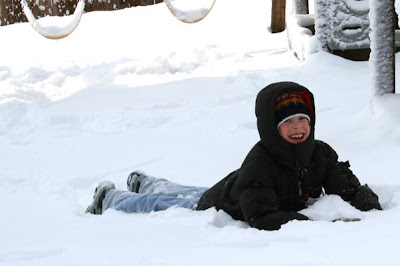 How exciting to get a snow day off from school, in March no less! Isn't Little House the best!?! And for once, we have no snow and the 'rest' of the world does. 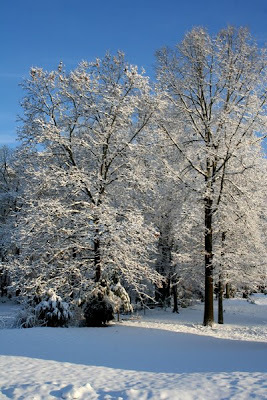 Nothing lovelier then a world covered in snow! White wonderland! Wet snow=perfect snowman makin' conditions!! Hey! I received a bloggie award and I’m passing it on to you! Come on over and get it! 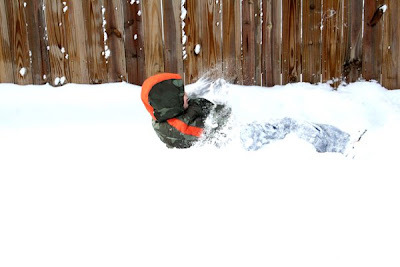 Gorgeous photos of your kids lying in the snow. What a huge country this is... we had an 80 degree day and you had snow! Wow, the difference in your yard b/t March 2 & 3 is incredible! They almost look like 2 different seasons!